Opened just over 1 year ago, Felix bar has won over the hearts of the locals. Felix bar is located in a brand new and trendy urban development right next to Kalkbreite / Bahnhof Wiedikon. It is modest in size, yet it quickly stands out from the crowd by offering guests a unique modern take on classic mixology, combined with exceptional personalized service. Felix bar is your perfect laid-back, cozy and enjoyable neighborhood cocktail bar. 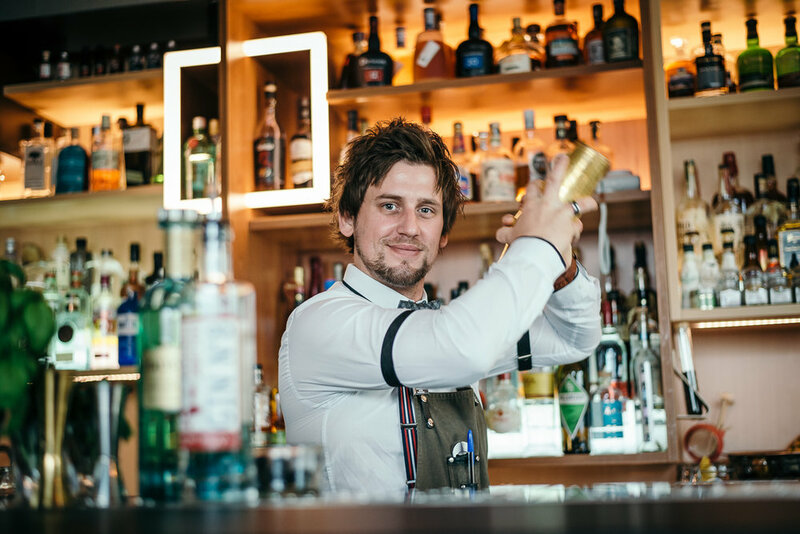 We went behind the scenes at Felix Bar and talked to Lajos, Bar Manager. 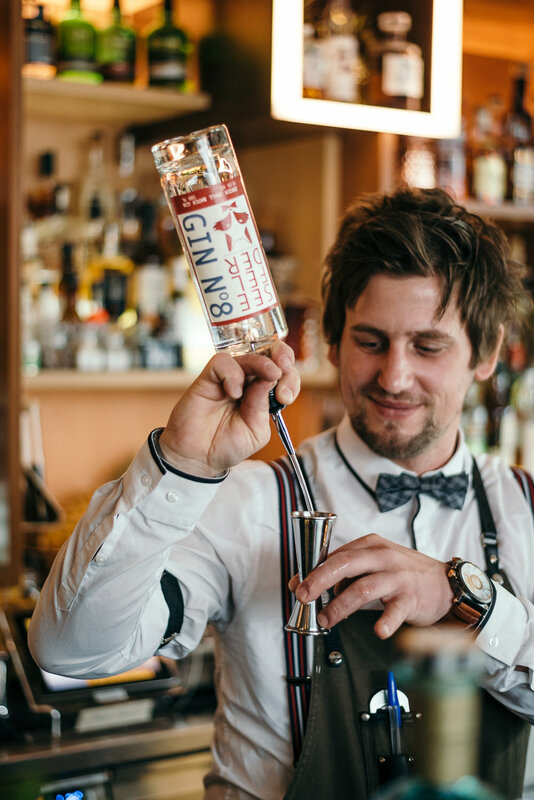 Read on to find more about the story of Lajos, how he developed his passion for mixology, his personal motto, what makes the perfect drink and more! What made you get started in bartending? Although my first job at bar was back in 2004, I really started bartending when I was 6 years old. My grandfather had a small bar business in the small town of Dunaszeg, Hungary. The bar was part of the house where my grandfather lived and I used to spend a lot of time there. As a kid, I used to sneak behind the bar and mix all kinds of things for guests. Seeing my grandfather work at his bar became my inspiration for becoming a bartender. What is the most important thing you’ve learned as a mixologist? It is of course very important to make the perfect drink, but this is nothing without the perfect serve. By perfect serve, I mean the interaction with customers and the personalized and unique experience I am able to create for them. How long have you been at Felix Bar? What has been the hardest thing? I joined felix only 3 months after it opened in March 2017. The hardest part of this journey has been to get people excited about what we do. We are not a very large bar, but we are very unique because our service is highly personalized. So much, that we even had in our menu a section called “Felix Regulars” with the custom cocktails made for our regular clients. We are in an industry where service is everything, but it can be easily forgotten. At Felix bar we go back to the roots. To the time when barkeeps would serve and entertain their clients the way it’s meant to be! What style of cocktails do you make at Felix? We also go back to the roots when it comes to classic cocktails, but we like to give it our own modern “Felix” twist. 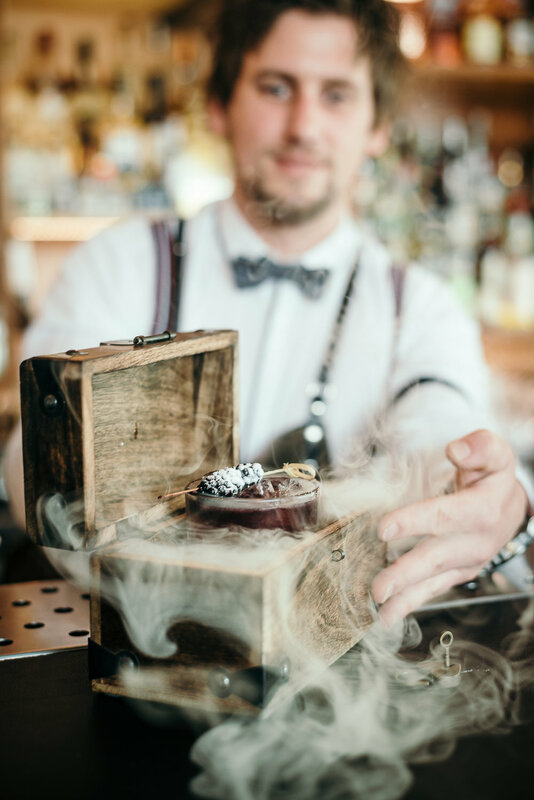 For example, we’ve been experimenting recently with different ageing methods for Pisco to create an aged pisco sour infused with tonka beans. Another big hit was our cherry barrel-aged negroni. Simply amazing! If not at Felix bar, then you are? When not at work, I can either be found smoking cigars at Manuel (the best cigar place in town), or touring around the mountains, lakes and countryside in my 1996 Fiat Barchetta!